FORT LAUDERDALE, Fla., December 23, 2015 — The North American leader in boat transport continues to expand its heavy lift Mediterranean service. United Yacht Transport conducted a high profile transport last week of a 38m M/V Monaco 275mt and 49m M/V Polaris 350mt from Genoa to Antigua on the M/V Ocean Freedom. 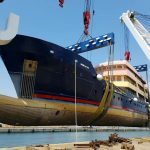 United Yacht Transport currently sets sail from two destinations in the Mediterranean including Genoa, Italy and Palma, Spain. With consistent, impressive efforts like this recent heavy lift shipment in Genoa, they will continue to increase its presence in the Mediterranean. United Yacht Transport is the premier worldwide yacht transporter that offers cost effective yacht transport and boat shipping services. United Yacht Transport ships worldwide to Mexico, the Caribbean, the Middle East, Asia, and the Mediterranean. As the North American leader in yacht transportation, United Yacht Transport prides itself on reliability, safe transport, and unparalleled customer service. FORT LAUDERDALE, Fla., November 30, 2015 — Captain Charlie Johnson, West Coast Sales Director of United Yacht Transport, will be on the panel of judges at the annual Argosy Christmas Ship Festival in Seattle. United Yacht Transport, the North American leader in boat transport, is proud to have one of its own as part of such a traditional event. Held in Seattle, Washington, the Argosy Christmas Ship Festival has been a Northwest tradition since 1949. This year, the festival will run from November 27th through December 23rd. On the evening of December 18th, the Parade of Boats will take place. During this event, local small boat owners decorate their boats festively for the holiday season and participate in an organized floating parade. The parade will begin at 7:45pm and the coveted Christmas ship will perform at the Fisherman’s Terminal (starting point), Fremont Cut (middle), and Westward and Little Gull (finale). The Christmas ship will contain a choir that will be performing holiday tunes, along with a slew of passengers who have the opportunity to meet and read a story with Santa Claus, participate in crafts and other activities, and much more! Captain Charlie Johnson will be aiding in the selection of this year’s trophy winners. The categories to be awarded first place titles this year include, but are not limited to: Best In Show, Best Holiday Theme Boat, Most Christmas Spirit, and Vessel With Most Holiday Lights. The parade schedule and information on how to sign up to participate in the festival can be found here. United Yacht Transport is the premier worldwide yacht transporter and offers cost effective yacht transport and boat shipping services. United Yacht Transport ships worldwide to Mexico, the Caribbean, the Middle East, Asia and the Mediterranean. As the North American leader in yacht transportation, United Yacht Transport prides itself on reliability, safe transport, and unparalleled customer service. 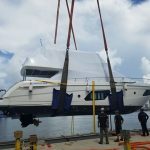 FORT LAUDERDALE, Fla., Nov. 13, 2015: After just two short years, United Yacht Transport has quickly made a name for itself as the North American leader in boat transport. Its innovative techniques paired with top-tier employees have enabled the company to successfully transport thousands of yachts and boats worldwide. United Yacht Transport explains what puts them ahead of the rest. What are the key benefits of choosing United Yacht Transport over other transport companies? Safe, reliable transport and unparalleled customer service have led United Yacht Transport to become the largest transporter in North America. The company has shipped more boats between the East and West Coasts of America in the last year than any other carrier. Each vessel is handled safely and securely, as if it belonged to the company itself. How exactly does a yacht get transported? What is the process like? United Yacht Transport operates through a lift on, lift off process. Prior to loading, boats are parked alongside United Yacht’s vessel. Lifting slings are lowered from the transport vessel into the water. Drivers then secure the boat to the slings using marked lifting points, and the boat is lifted into a cradle on the transport vessel. Straps and chains secure the boat in for safe and secure transport. 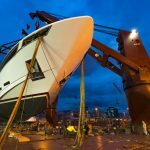 What makes lifters certified to handle yachts? Each of United Yacht Transport’s employees has gone through rigorous training and has handled 8,000 yachts. 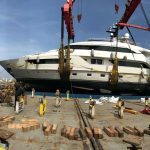 How long does it take to load and unload a yacht? The entire process of loading and unloading generally takes about an hour or two, depending on the vessel. What is the furthest United Yacht Transport has transported, and what are its plans for the future? Thus far, Singapore is the furthest that United Yacht Transport has transported. The company focuses on the East and West Coasts of America and the Mediterranean, but plans on expanding more into the Mediterranean and Asia to meet the demands of the market. 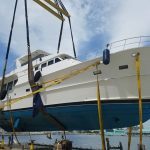 FORT LAUDERDALE, Fla., Nov. 6, 2015 – United Yacht Transport, the North American leader in boat transport, has announced last minute availability on its westbound US ship after the Fort Lauderdale International Boat Show. The M/V Da Chang is set to leave Port Everglades between November 12th and 14th, just days after FLIBS ends. 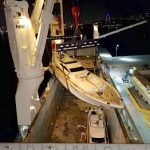 Those looking to ship their boats to Ensenada, Mexico and Victoria, British Colombia after the show should reach out to United Yacht Transport as soon as possible, as there is limited space available. For more information, please stop by United Yacht Transport’s booth at the Fort Lauderdale International Boat Show in the Yacht Builders Pavilion, #791, or contact us at (954) 383-4448 or sales@united-yacht.com. FORT LAUDERDALE, Fla., October 7, 2015 — United Yacht Transport, the North American leader in boat transport, reflects on Genoa’s 53rd Annual Boat Show and its impact on the yachting community. This prestigious and elite event did not disappoint, as it started off the month of October with a bang, further continuing boat show season. The Genoa International Boat Show is held annually in Genoa, Italy, and is one of the world’s premier boat shows. The show was held between October 1st and 6th, hosting builders, boats, and countless enthusiasts. Over 1,000 vessels were displayed across the span of two marinas, so there was something new around every corner. Italy is well-known in the yachting community as the largest superyacht producing country in the world, and this highly anticipated event certainly met all expectations. There were many builders in attendance, including major players like Perini Navi and CRN. The days consisted of events including ocean races, appearances by “champions of the sea,” and more. For anyone who is interested in superyachts, this show was definitely a can’t miss event. Additionally, The Genoa Boat Show has just announced that they will be partnering up with Expo Venice to present The Venice Boat Show in April 2016. FORT LAUDERDALE, Fla., October 2, 2015 — The Monaco Yacht Show is just wrapping up, and United Yacht Transport, the North American leader in boat transport, highlights this year’s event. With over 500 yachting companies in attendance, there was something new and exciting around every corner. The Monaco Yacht Show celebrated its 25th anniversary from September 23rd through the 26th. Situated in the scenic Port Hercules of Monaco, the stars of the show were the 120 superyachts that were available for touring and purchasing. This year’s prestigious, milestone show welcomed approximately 34,500 attendees. There were 121 superyachts on display, with more than 500 exhibitors overall. Roughly 40 new models were released, which gave Monaco Yacht Show attendees an exclusive look at the latest creations from distinguished yachting companies, designers, and manufacturers. The show marked the design debut of the SeaXplorers, amongst the slew of other brand new superyachts. These $100 million ships are prided on the ability to expedition through the icy waters of the Arctic for a maximum of 40 days. The massive vessels that can house up to 80 people, including both guests and crew members, are set to be completed and released in 2017. FORT LAUDERDALE, Fla., September 29, 2015 — United Yacht Transport, the North American leader in boat transport, has it’s sights set on Mazatlan, Mexico. This beautiful destination is the perfect vacation spot, full of sandy beaches and rich culture. As the largest port between the United States and the Panama Canal, the city of Mazatlan is also the home of the second largest fishing fleet in all of Mexico. This picturesque location is an excellent choice for your next family vacation, equipped with restaurants, hotels, beaches, bars, shopping, and more. One of the oldest and largest breweries in Mexico, Pacifico, is another one of Mazatlan’s many attractions. Malecón is the longest promenade in the world at 21 kilometers, which runs along the beaches of Mazatlan. There, tourists can enjoy and access scenic cliffs, street vendors, ancient sculptures, and more. This vacation spot is also ideal for yacht owners as the city allows for just cruising around or participating in water-based activities with the whole family. Soak up the sun and some of this city’s history and culture as you voyage to Mazatlan. FORT LAUDERDALE, Fla., September 25, 2015 — With the opening up of Cuba’s waters, the first U.S. Charter Yacht made its voyage to the country last month. United Yacht Transport, the North American leader in boat transport, takes a look into the expedition and its impact on the yachting community. Superyacht Numarine 78 Flybridge M/Y Still Water was the first American charter yacht to sail into the waters of Cuba. The last time this was legal was in the early 1960’s, prior to the trade embargo being imposed. Still Water cruised into the Marina Hemingway in Havana loaded with 15 people, including both crew and passengers. The entire process to be granted the ability to carry out this voyage still took approximately 7 months. The trip, however, only took about 4 hours to travel from Key West, Florida to Cuba. It is anticipated that being granted permission for Cuban voyages may be facilitated now that the U.S. Embassy officially opened in Havana on August 14th. The opening up of Cuba’s waters provides more travel opportunities for yachters, which leads to more business for yacht transport companies. There is an anticipated rise in transports to Cuba in the coming years, and travelers can look forward to experiencing a beautiful country that is rich in history and culture. 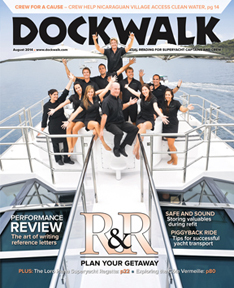 FORT LAUDERDALE, Fla., September 24, 2015 — With the 37th annual Lake Union Boats Afloat show recently coming to a close, United Yacht Transport, the North American leader in boat transport, gives the inside scoop on the ins and outs of the event. The “West Coast’s Largest Floating Show” was jam-packed with events, classes, and premier boating equipment. The stars of the show were, of course, the vessels displayed on the lake for both touring and purchasing. The 5-day family friendly event, deemed Washington’s premier boat show, provided a number of activities to participate in that included kayaking, paddle boarding, and more! The attractions available at the show included a seminar series with discussion topics that included the buying process, modern cruising trends, and the latest features and innovations in boating, just to name a few. The boat building center welcomed children to create and decorate their own wooden toy boats by hand. For football fans, the Seattle Seahawks cheerleaders, the Seattle Sea Gals, were in attendance signing autographs and meeting and greeting fans. There was truly something for everyone in the family to enjoy. FORT LAUDERDALE, Fla., Sep. 18, 2015 — Trinity Yachts’ superyacht Skyfall, released in 2010, continues to make headlines as it goes up on the market. United Yacht Transport, the North American leader in boat transport, takes a look inside the walls of this beautifully crafted and exquisite vessel. John Staluppi’s yacht Skyfall is now being sold by Worth Avenue and International Yacht Collection. Staluppi, also known as the “James Bond yacht flipper,” has owned 18 vessels that he has redone, each named after a Bond film. This revamped yacht comes with a price tag of $35 million for a multitude of reasons. Equipped with a master suite, study, lounge, master bathroom, saloon, theater, 2 VIP suites, 7 guest cabins, and a formal dining area that accommodates 14 people, spaciousness is not an issue for Skyfall. Each cabin has a 42 inch television and its own connected bathroom. There is a sweeping sky lounge and aft deck which makes her perfect for entertaining family and friends. Also, the gigantic sun deck is home to a hot tub, bar, and plunge pool. Skyfall allows for easy transportation both onto and inside of the vessel. Complete with a helicopter pad, multi-car garage, and an elevator with wheelchair access, it seems that designer Patrick Knowles has thought of every accommodation. Skyfall’s maximum speed is 20 knots and has a range of 4,000 nautical miles at 10 knots. She doesn’t contain any speed stabilizers, and is currently residing in Florida until further notice. FORT LAUDERDALE, Fla., Sep. 17, 2015 — This year’s Cannes Yachting Festival, deemed one of the biggest boat shows in Europe, has come and gone. United Yacht Transport, the North American leader in boat transport, discusses the highlights of this massive event. The Cannes Yachting Festival took place from September 8th through the 13th, with the number of visitors in the tens of thousands. United Yacht Transport was in attendance for the entirety of the festival’s 6 day span. The time spent at the festival consisted of embracing the newest trends in the yachting world and the latest models from the largest shipyards across the globe. Yachts, of course, were the star of the festival. Lavish and luxurious vessels of exquisite, high caliber design could be seen for miles. With over 500 boats on display, standout ships included vessels ranging from 5 to 55 meters on the Old Port while second-hand yachts were available for purchase on Port Cano. FORT LAUDERDALE, Fla., September 11, 2015 — Those summer days are dwindling down, which means fall is almost here and boat show season is in full swing! United Yacht Transport, the North American leader in boat transport, looks deeper into a few of this season’s biggest shows. United Yacht Transport will be attending shows not only from the east to the west coast, but across the globe. Below are a few shows that United Yacht Transport will be attending during this busy boating season. Breakbulk Americas Convention. This convention will be taking place in Houston, Texas from October 9th to 11th, and holds the title of the largest cargo and shipping exhibition in North America. Breakbulk Americas is perfect for those looking to make connections in the industry, and also for those who want to learn and enhance their craft through workshops and seminars. The list of exhibitors includes specialized ocean carriers, freight forwarders, and more. Fort Lauderdale International Boat Show. Taking place from November 5th through 9th, this show takes place in the hometown of United Yacht Transport, also know as the yachting capital of the world. It will host transport companies, builders, designers, and vessels of varying sizes. Guests will have access to shuttles, water taxis, and riverboats to navigate the 3 million square feet of space that will be consumed by the event. FORT LAUDERDALE, Fla., September 10, 2015 — Seattle has become one of the top yacht spotting ports in the world, drawing in yachters and boat enthusiasts alike. United Yacht Transport, the North American leader in boat transport, discusses what makes Seattle one of the world’s top ports for spotting yachts. Seattle has made the list of top yacht spotting ports with world class marinas, making it a scenic sight of some of the best and most beautiful yachts in the world. This beautiful and attractive city is one of a kind when you’re looking for a place to view some of the best yachts in the world. The spotting of a sleek superyacht anchored or docking in a Seattle marina is a special sight that is bar none. Shilshole Bay Marina is an excellent yacht spotting area, equipped with beautiful beaches and restaurants. Magnificent boats are moored in Elliott Bay Marina, with a picturesque view of mountains as their backdrop. 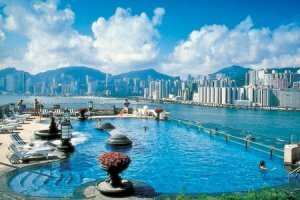 Spend a day in this city to experience the many reasons it has received such high acclaim. Joining Seattle on the list of top ports are Fort Lauderdale, Miami, and Nice, France to name a few. 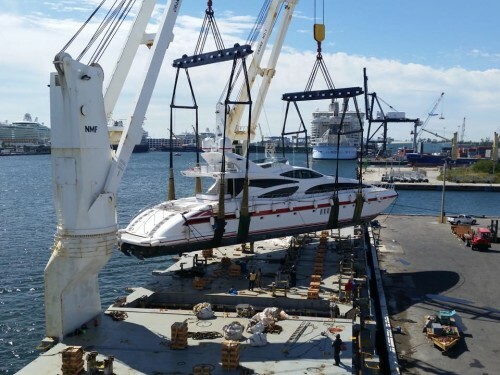 FORT LAUDERDALE, Fla., Sept. 2, 2015 — Choosing the best yacht transport company is crucial in the safe and secure transfer of your vessel from point A to point B. United Yacht Transport, the North American leader in boat transport, discusses a few factors all yacht owners should consider when looking for a reliable transport company. Transport options. The size of your vessel determines how it can be transported. Small yachts are equipped for road transport, while larger yachts can be transported on a container vessel or by a carrying company. Contracting with an exclusive yacht carrier that specializes transports of this size is extremely beneficial, as you are handing over your vessel to a company that encompasses an expert and highly qualified staff. Pricing. While going with the company that offers you the lowest price for its service may seem like the best option, it may not always work out in your favor. Transport companies may try to lure in business with low prices, but not be able to follow through. Seek companies who strive to develop long-term relationships through reliable service, and avoid those who are just looking for a one-time transaction. Delivery and cancellations. Make sure that your yacht transporter provides you with a reasonable window of time for delivery. While it is unfeasible to provide an accurate arrival date due to uncontrollable conditions, an acceptable window of time should always be laid out in the agreement. However, assure that your yacht transport provider clearly defines a cancellation date in the contract. Non-performance warrants a cancellation, and you should make sure you are covered in the event of an substantial delay in transport. FORT LAUDERDALE, Fla., September 1, 2015 — United Yacht Transport, the North American leader in boat transport, gears up for the Fort Lauderdale International Boat Show this Fall. The 56th annual Florida-based exhibit promises to be a big one, as it takes place in the yachting capital of the world. The Fort Lauderdale International Boat Show will take place from November 5th through 9th of this year. Aside from transport companies, the exhibition will host builders, designers, and, of course, a variety of vessels. Superyachts, cabin cruisers, motor yachts, and sport fishers are some boats you can expect to see on display, just to name a few. The show will span 7 different locations and cover 3 million square feet of space. Guests will be able to navigate the expansive show with ease, having access to shuttle buses, water taxis, and riverboats. Tickets can be purchased at the door, or online in advance at a discounted rate. Show hours from Friday through Monday remain consistent at 10am to 7pm each day. Visit the website for more information and to purchase tickets: http://www.showmanagement.com/fort_lauderdale/event/. United Yacht Transport looks forward to the Fort Lauderdale International Boat Show and highly anticipates a successful event! FORT LAUDERDALE, Fla., Aug. 27, 2015 — Breakbulk Americas 2015 convention is set to take place this Fall in Houston, Texas. United Yacht Transport, the North American Leader in boat transport, will be in attendance amongst their peers in the shipping and cargo service industry. Breakbulk Americas is the largest shipping and cargo services exhibition in all of North America. It will take place from October 5th through 8th at the George R. Brown Convention Center in Houston, Texas. The goal of the convention is to assist in the making of connections within the industry while providing learning opportunities which will contribute to company growth. The list of exhibitors includes specialized ocean carriers, freight forwarders, ports/terminals, and many more. There will be conference sessions and workshops designed for those with varying levels of experience longing to acquire new skills and improve their craft. FORT LAUDERDALE, Fla., Aug. 20, 2015 — United Yacht Transport, the North American leader in boat transport, will be among one of the several exhibitors at the Southampton Boat Show this September. The show will be filled with hundreds of boats, exhibitors, and yachting and boating enthusiasts alike. The show takes place from September 11th through the 20th. There will be hundreds of boats there, not only for viewing, but for bidding on as well. The experience of attending the show and getting to walk on the boats, talk to fellow enthusiasts, and have all your questions answered by the exhibitors themselves is unparalleled. The show is a “massive showcase” of the country’s most exciting new products in the world of boating. Offers by exhibitors and prizes are available for entry online, including discounts on boating products, free admission tickets, champagne, and more. You can get your tickets online or over the phone in advance at http://southamptonboatshow.com/Visiting/Tickets. Children 15 years and under are granted free admission, so bring the whole family for a fun-filled and memorable day! FORT LAUDERDALE, Fla., Aug. 17, 2015 — With the Cannes Yachting Festival right around the corner, United Yacht Transport, the North American leader in boat transport, gives you an inside look at what’s to be seen at this year’s showing. FORT LAUDERDALE, Fla., Aug. 17, 2015 — As the size of yachts seems to be multiplying as each new superyacht makes its debut, existing laws are creating a problem for these massive vessels due to their colossal length. United Yacht Transport, the North American leader in boat transport, reflects on the current situation, and what it could mean for owners, captains, and the community of Fort Lauderdale. The law currently states that once yachts exceed a certain length, both owners and captains need to acquire a different type of license to possess and operate them. International rule states that if a superyacht surpasses 3,000 gross tons, it is no longer identified as a pleasure boat and is considered a commercial vessel. A major problem is that captains would have to essentially start their careers from the bottom and put in enough hours to receive a separate license. The Maritime Professional Training School has set up a course in an effort to alleviate this problem. The course seems to be worth the time and money, as it adds you to the comparably shorter list of candidates when yacht owners are seeking captains for their superyachts. Not only does this law affect owners and captains, but also the community of Fort Lauderdale. This Florida city has been deemed the “yachting capital of the world,” since there is so much transport and tourism in that area. FORT LAUDERDALE, Fla., August 5, 2015 — United Yacht Transport has announced a newly formed alliance with PSP Worldwide Logistics to service the UK, Mediterranean, and US trade routes. The union combines PSP’s strength in Europe and United Yacht Transport’s impact in the United States, which will provide clients with broader solutions to worldwide boat transport. PSP Worldwide Logistics is one of the UK’s fastest-growing freight forwarders and offers project logistics, freight forwarding, worldwide boat transportation, marine spares, international express courier services and export packing. PSP ships for brands such as The Clipper Round the World Yacht Race, Princess, Sunseeker, Fairline, Dee Caffari MBE, Bear Grylls and Sir Robin Knox-Johnston. The newly constructed partnership with PSP will provide more customers with smooth transport and professional service across the globe. In preparation for the 56th Fort Lauderdale International Boat Show, which will take place in November, the first joint sailings will be from Southampton to Florida and the Mediterranean to Florida in September. Frank Dixie, managing director of PSP, said: “The strength of our Worldwide Boat Transportation Alliance has continued to grow over recent years and shake up the market. That said, we will never rest on our laurels or become complacent. Yacht Shipping with the Leader in North America. Transporting Your Yacht Around the World.